In 1841, a young father and musician was kidnapped in Washington DC, shipped in chains to New Orleans and sold into a slavery that he endured until 1853 when, through the intervention of friends and sympathisers, he was rescued and reunited with his family. From that day to this, his story has been told, retold and told again. Solomon Northup had been trying to tell his story from the moment he found himself chained in a dark slave pen. Brutal violence taught him to be silent, but couldn’t prevent him memorising his experiences in the hope, never abandoned, that he would one day regain the right to speak. When he did finally come before justice, in Washington DC, his demand that his kidnapper be arrested was rejected because a black man could not testify against a white. Wilson goes on to explain that his words have been read, checked and, where necessary, corrected by Solomon Northup before publication. The story of their collaboration is discussed here by David Fiske, and an exploration of the narrative’s wider context and history by Henry Louis Gates Jnr., who acted as historical consultant to Steve McQueen’s recent film, can be read here. 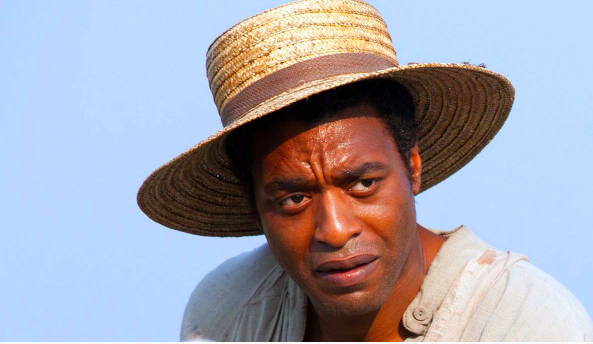 The film of 12 Years a Slave, justly feted, is the latest retelling of Solomon Northup’s story. It shares with the original book a rigorous commitment to the truth, but the role of the artists involved must not be denied. In each case one person’s experience has been imagined by another, who has then retold it to a wider public. In doing so, they have placed their craft, empathy and creativity freely in the service of another, with a shared purpose of bearing witness. In a culture still indebted to Romanticism, our ideas about authenticity can be very simplistic—but what really matters is truth. It is truth, in all its complexity, that can be found in the work of David Wilson 160 years ago and Steve McQueen today. Solomon Northup might not have written the narrative that bears his name any more than he made the film he could not have imagined. But he is truly the author of both documents.